The BCATA is a PSA (provincial specialist association) of the B.C. 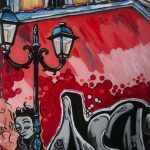 Teachers’ Federation consisting of a network of approximately 250 K-12 and Post-Secondary art educators in Canada sharing ideas and information. 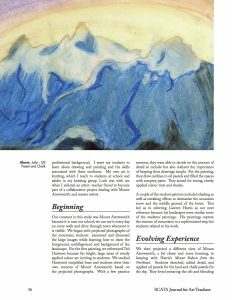 Welcome to the British Columbia Art Teachers’ website. 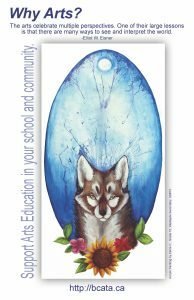 We are dedicated to providing support, resources, advocacy, professional development, and networking opportunities to Art teachers across our beautiful province. If you are in the lower mainland or up north we hope you feel you have an Art family here with the BCATA. As I reflect on the BCATA I can’t help but feel we are standing on the threshold of new and exciting things. By definition a threshold is the level or point at which you start to experience something, or at which something starts to happen. 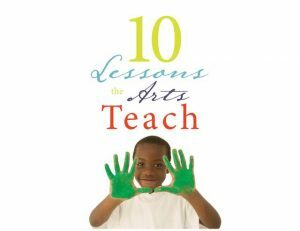 We are experiencing many new things within Art education. A new curriculum, new or restored contract language and new opportunities to network and grow as professionals. The BCATA is experiencing many new things as well. 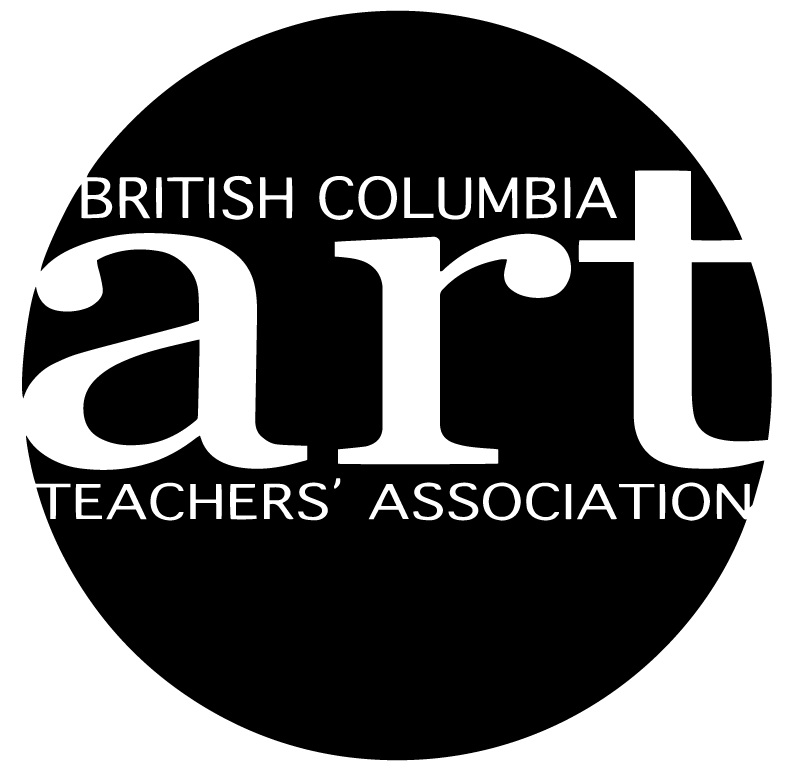 You may have noticed our new logo and branding and our new website which we hope becomes a hub for all things Art Education in BC. As we look to the future of Art education in British Columbia I am reminded of our mission “to advocate for equitable, quality Art education for all students in British Columbia at primary, intermediate, and graduation levels.” How best can we do that? We seek to provide Professional development opportunities through our fall conferences, our new web site and providing networking opportunities to encourage each other and to raise up leaders in our field. We have created opportunities for you to show your students work through our website, a portal to connect with teachers just like you, curriculum resources, and advocacy help to promote Art education in your school, district and community. Please take the time to consider how and where you can seize development opportunities, to get involved, and to inspire the young artists that fill our classrooms. 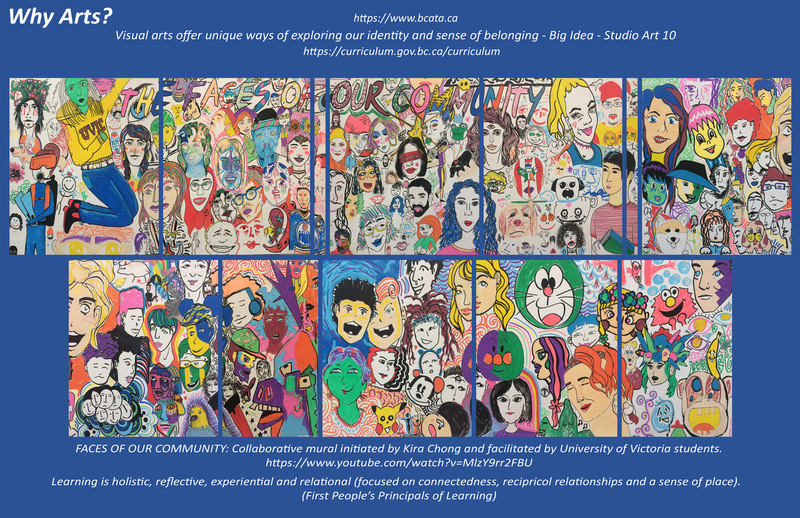 Faces of our Community is a collaborative mural project initiated by Kira Chong and facilitated by University of Victoria Students. Please take a moment to view the video below which profiles the mural project that was created above.